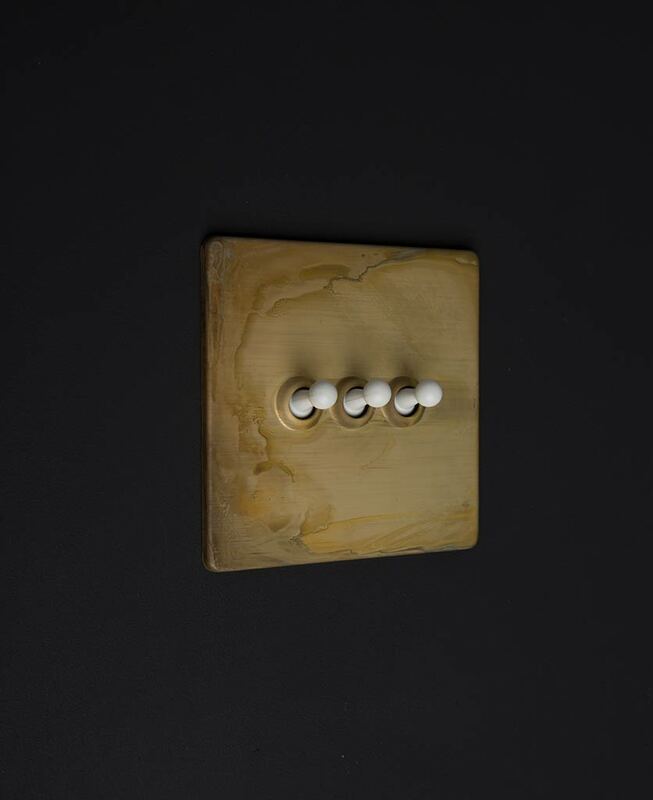 Our smoked gold triple toggle switch is a beautiful light switch. 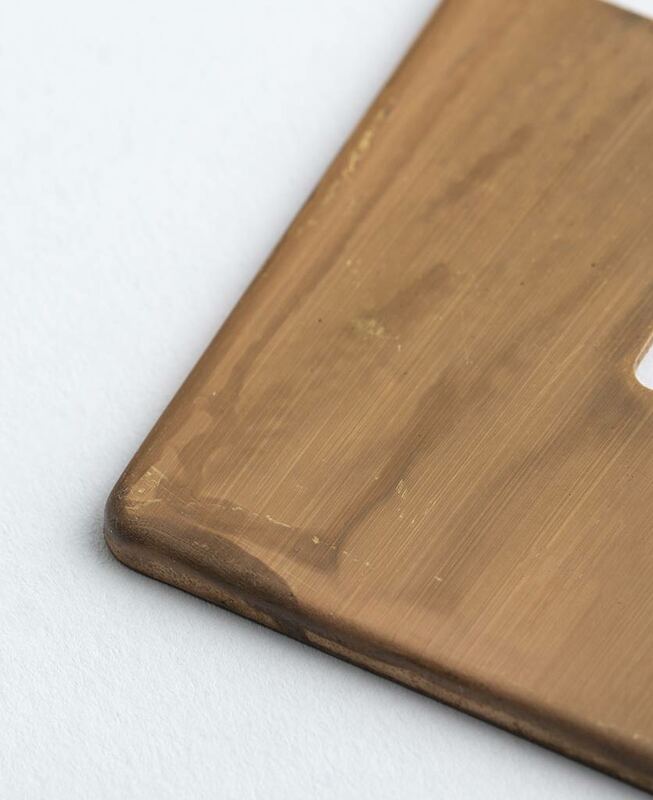 No really, bear with us… The smoked gold effect is really unusual – a dull, tarnished gold with swirls of black ‘stirred’ through it. Like storm clouds scudding across a dusky sky. We love these toggle switches for your dining room to switch your factory style pendant lights on and off. The epitome of modern rustic style. Lovely. Our smoked gold triple toggle switch is a beautiful switch with a dull gold plate and retro toggles. Its fittings are totally concealed ensuring a neat, sleek finish, and it’s LED compatible. 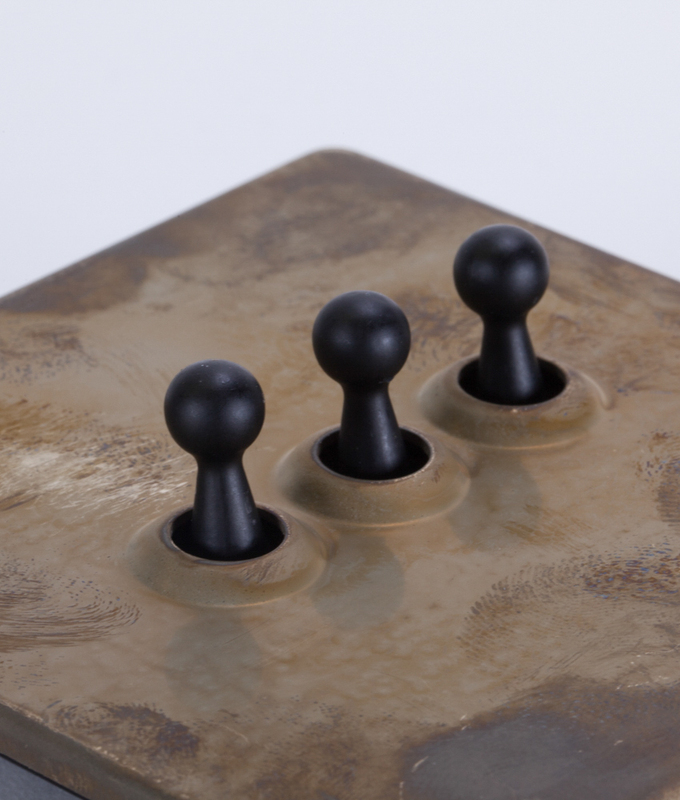 We love this vintage industrial gold triple toggle switch on a dark grey, black or deepest navy blue wall. It also looks amazing with muted sage green for a sophisticated yet toned down look. 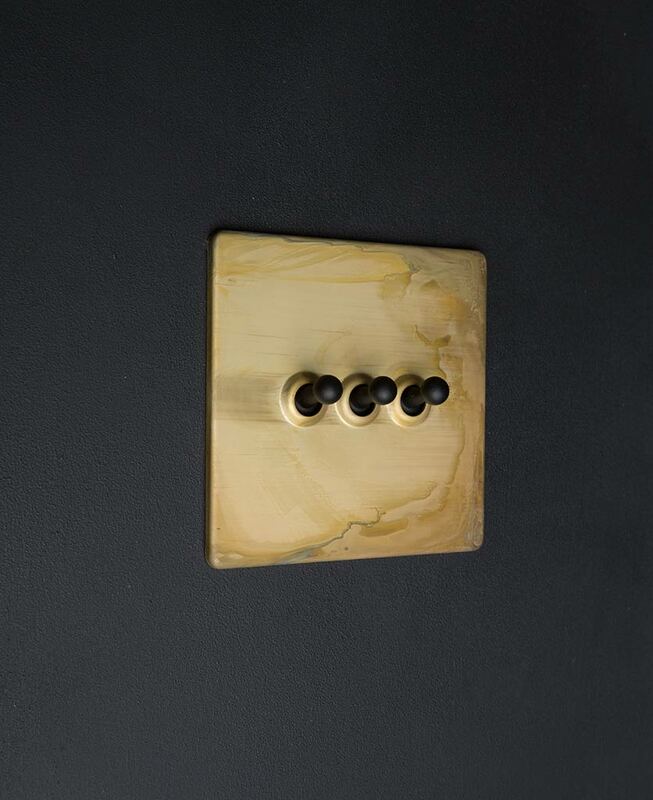 A fabulous contrast to perfectly flat painted walls, this rugged smoked gold and black toggle switch is the perfect finishing touch to any modern industrial interior. This toggle switch belongs to our smoked gold lighting accessory range. 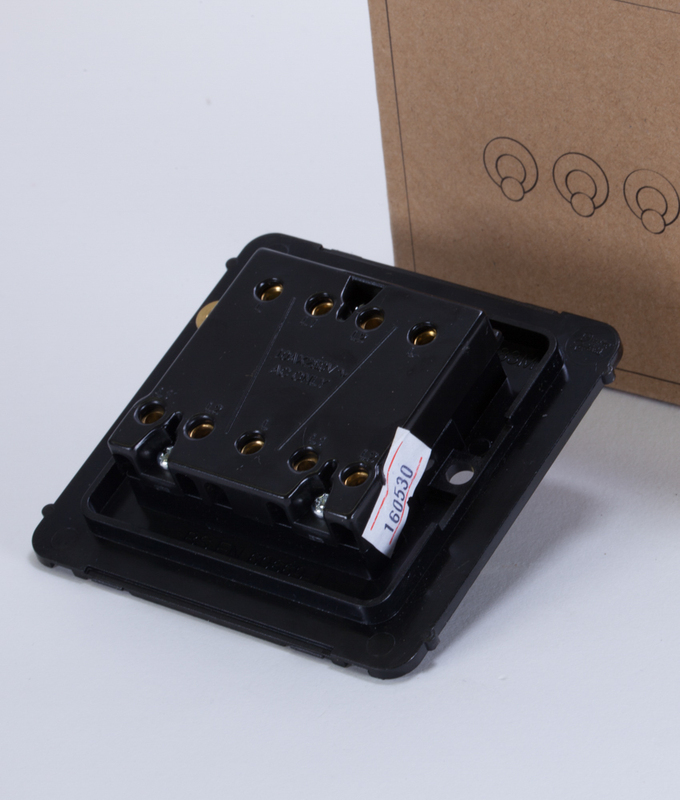 A whole collection of coordinating switches and sockets designed to sit perfectly in your modern industrial home. We have an ever-expanding selection of designer switches and sockets to ensure you have a complete matching set for any room… From plug sockets to fused cooker switches and dimmers. 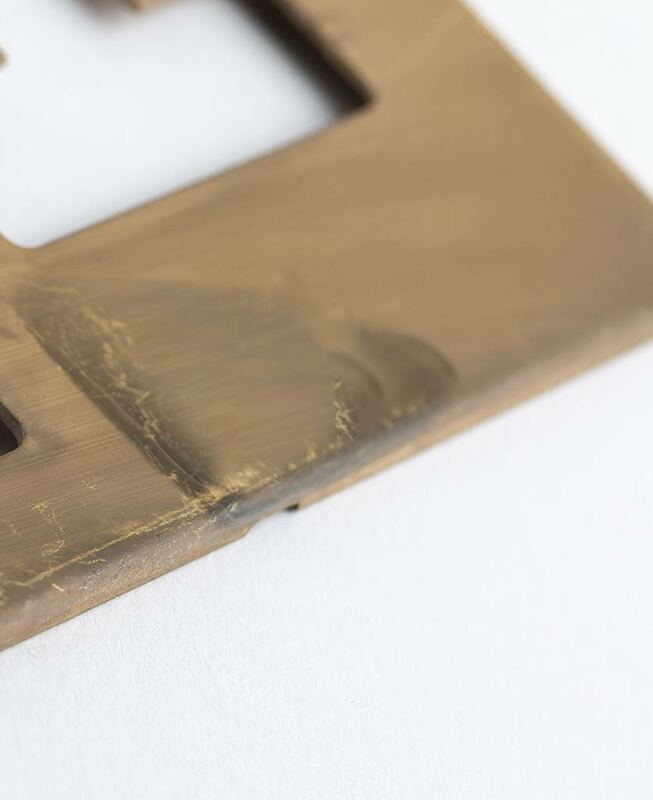 Smoked gold is an unusual finish – one you won’t find everywhere. Perfect if you like something just a little bit different.